Expected to ship on or about 04/24/19. Jacob Kane's youngest daughter, Abbie Ann, is a busy woman! She manages the family's general store, is active in local causes, and helps elderly community members. There's time for little else---including matters of the heart. Can divorced Noah Carson and his son Toby convince her otherwise? And what about his brazen ex-wife? 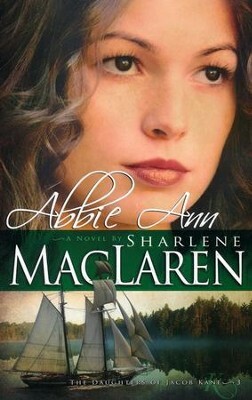 Abbie Ann Kane, the youngest of Jacob Kane's three daughters, is a busy woman. Between running the Whatnot, the family's general store, being active in the Women's Christian Temperance Union, and assisting the elderly citizens of Sandy Shores, Michigan, she has little time for frivolous matters. And those include matters of the heart. When the recently divorced Noah Carson comes to town with son Toby in tow to pursue a shipbuilding business, Abbie Ann tries to keep her distance-especially when his flagrant ex-wife shows up. But God has other plans in mind? Born and raised in west Michigan, Sharlene attended Spring Arbor University. Upon graduating with an education degree in 1971, she taught second grade for two years, then accepted an invitation to travel internationally for a year with a singing ensemble. In 1975, she married her childhood sweetheart. Together they raised two lovely, wonderful daughters, both of whom are now happily married and enjoying their own families. 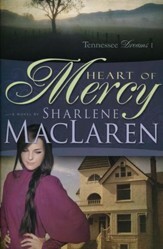 Retired in 2003 after thirty-one years of teaching, "Shar" loves to read, sing, travel, and spend time with her family-her grandchildren, in particular!Shar launched her writing career in 2006 with the contemporary romance Through Every Storm, a Whitaker House release that was named a finalist for Book of the Year by the American Christian Fiction Writers (ACFW). Following that was her acclaimed Little Hickman Creek series, consisting of Loving Liza Jane (Road to Romance Reviewer's Choice Award); Sarah, My Beloved (third place, Inspirational Readers' Choice Award 2008); and Courting Emma (third place, Inspirational Reader's Choice Award 2009). 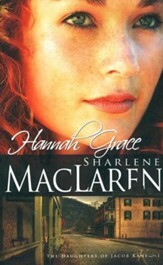 Shar's next series, the popular Daughters of Jacob Kane, comprises Hannah Grace (second place, Inspirational Reader's Choice Award 2010), Maggie Rose, and Abbie Ann (third place, Inspirational Reader's Choice Award 2011). Sofia's Secret concludes her latest series, River of Hope, which also comprises Livvie's Song and Ellie's Haven.Shar has done numerous countrywide book signings, television and radio appearances, and interviews. She loves to speak for women's organizations, libraries, church groups, women's retreats, and banquets. She is involved in Apples of Gold, a mentoring program for young wives and mothers, and is active in her church, as well as two weekly Bible studies. She and her husband, Cecil, live in Spring Lake, Michigan, with their beautiful white collie, Peyton. I'm the author/artist and I want to review Abbie Ann, Daughters of Jacob Kane Series #3.